Public sociology is an attempt to redress the issues of public engagement and disciplinary identity that have beset the discipline over the past several decades. 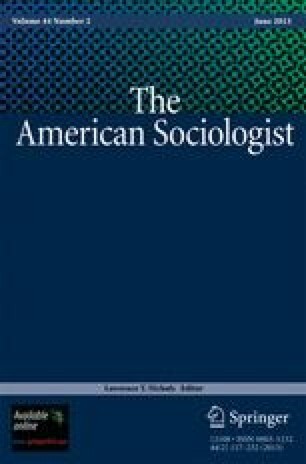 While public sociology seeks to rectify the public invisibility of sociology, this paper investigates the limitations of it program. Several points of critique are offered. First, public sociology's affiliations with Marxism serve to potentially entrench existing divisions within the discipline. Second, public sociology's advancement of an agenda geared toward a “sociology for publics” instead of a “sociology of publics” imposes limitations on the development of a public interface. Third, the lack of a methodological agenda for public sociology raises concerns of how sociology can compete within a contested climate of public opinion. Fourth, issues of disciplinary coherence are not necessarily resolved by public sociology, and are potentially exacerbated by the invocation of public sociology as a new disciplinary identity. Fifth, the incoherence of professional sociology is obviated, and a misleading affiliation is made between scientific knowledge and the hegemonic structure of the profession. Finally, the idealism of public sociology's putative defense of civil society is explored as a Utopian gesture akin to that of Habermas’ attempt to revive the public sphere. The development of a strong program in professional sociology is briefly offered as a means to repair the disciplinary problems that are illustrated by emergence of the project of public sociology.